Here is the Renegade Bowling Bag that can be completed by a confident beginner. This bag is a step up from your traditional tote bag, but it comes together in a decent amount of steps and requires no purse hardware. Because no hardware is involved then the Renegade Bowling Bag is a fast and easy sew. Use it to graduate up from a basic tote bag, or sew lots of them in a hurry for your next craft fair! The finished bag measures 14″ long by 10 1/2″ tall by 3 1/2″ deep. It’s a great size to sling over your arm or it can be perched on your shoulder. 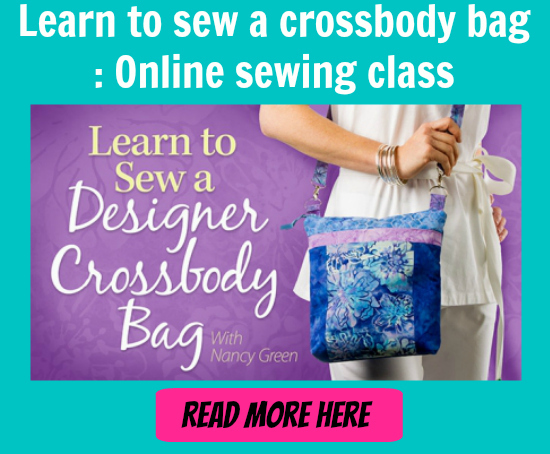 This pattern also has an online workshop available. The video for this pattern is available for purchase and is 1 hour 21 minutes long. As a taster for the video, you can view the trailer below.